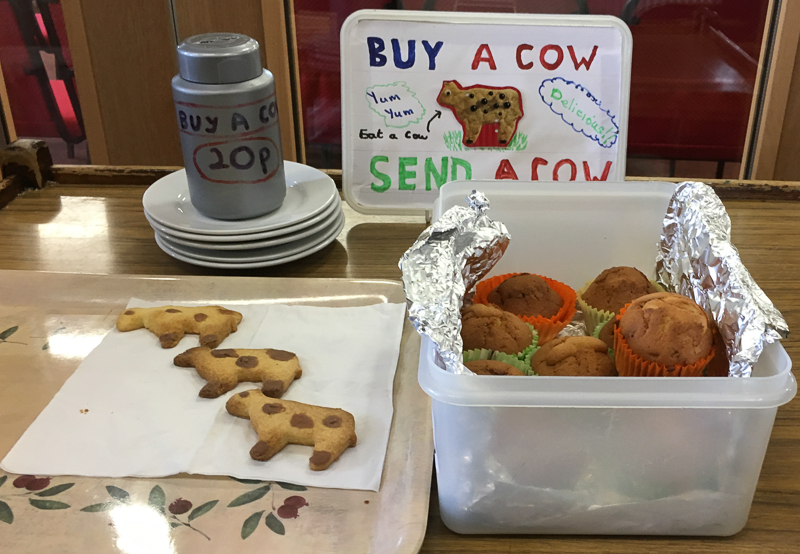 Our Send a Cow mission project is benefiting from the efforts of Margaret Wardle who is selling home-made “Cow” biscuits (and buns) to have with coffee after church (or to take home). They are going so quickly that there was hardly time to take this photo before they all disappeared! Great ideas are arising spontaneously to support our project. Look out for a special “Cup and Natter” lunch in the near future.